A Round-up of the weeks remote Viewing news & blogs – week ending 12 October 2012. Remote Viewing, Psychic Abilities and Edgar Cayce. An Interview with Russell Targ. What Is It That We Aren’t Understanding About Space-Time? Target 5 is in play – submit a CRv session and join-in.Session due 21st Oct, 2012. Science meets Alice in Wonderland. Nassim Haramein talks to Stephen Hamper on Remote Viewing. 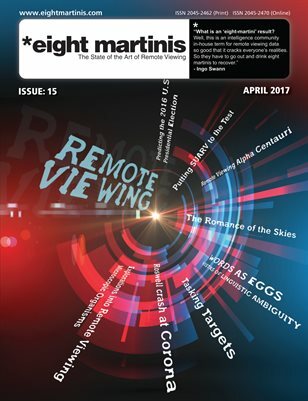 PreviousPrevious post:Remote Viewing news & blogs – week ending 19 October 2012NextNext post:Remote Viewing news – week ending 5 October 2012.